A royal flush at the final table helped Norbert Szecsi win his second World Series of Poker gold bracelet after victory in Event #6: No-Limit Hold'em/Pot-Limit Omaha Mixed Event. He takes home €86,596 in prize money after besting a field of 241 players. Since winning his first bracelet in 2013 in a $1,000 No-Limit Hold'em event, Szecsi has had two runner-up finishes in WSOP events in 2014 and 2016. Now he has gone one step further and added another piece of gold to his collection. 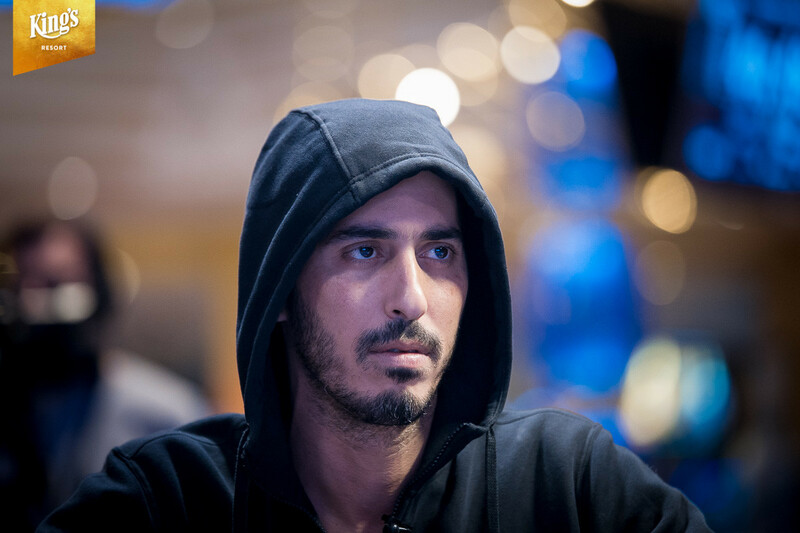 WSOP Player of the Year leader Shaun Deeb takes home €53,731 for his second-place finish, just missing out on a third bracelet of 2018. A fourth top-three finish does not make him mathematically certain to win the Player of the Year title just yet, but it would take a herculean effort from another player over the remainder of the WSOPE festival to deny the four-time bracelet winner. Eight players remained at the start of play, with Netanel Amedi leading the way and Szecsi not far behind him. Amedi increased his stack over 2 million over the opening exchanges. However, Deeb battled back to lead at the first break of the day in a very fluid opening two levels. Van Tiep Nguyen didn't manage to get anything going on the final day's play and was the first elimination of the day at the hands of Julien Sitbon, losing a flip to bust in eighth. It was Nguyen's second final table of the 2018 WSOPE after finishing fifth in Event #2 earlier. He was closely followed by Vittorio Castro who picked his spot with kings in pot-limit Omaha only to run into the aces of Szecsi. Samuel Albeck doubled before Jaroslav Peter was cruelly sent to the rail. Having already doubled early in the day, Peter got his stack in with un-suited aces against the eights and fours of Amedi in PLO, only for Amedi to turn a set of eights. At this stage Amedi and Deeb were above 2 million in chips, but Amedi would outpace his American opponent and move closer to 3 million with five players left. Those five soon became four with the elimination of Albeck, his ace out-kicked by that of Deeb to bust in fifth. It soon became a back-and-forth battle between Deeb, Amedi and a resurgent Szecsi before Amedi once more exerted his dominance, eliminating Sitbon in fourth place. Sitbon got it in with queens against Amedi's jacks in PLO, but the Frenchman improved to trip aces on the flop. However, a jack on the river gave Amedi a boat and eliminated Sitbon. By the next break the stacks were level once more, with no breakthrough seeming likely. Szecsi was the shortstack at the table and he three-bet jammed only to get called by the of Amedi. The flop came with the Hungarian's rail screaming for his outs. The turn was the but the river was the giving Szecsi a royal flush and a lifeline back into the contest. Amedi was eliminated in the very next hand by Szecsi, who had gone from last to first in three hands before the start of heads up. Heads-up play was a cautious and patient affair with both players knowing that one pivotal hand could change the entire dynamic of the contest. Deeb quickly turned the tables however to move out into an early lead, but the pendulum swung back the way of Szecsi after out-kicking Deeb when both players turned trips. The very next hand Deeb three-bet all in on an ace-high turn only to run into Szecsi's top set meaning the likely player of the year was drawing dead, securing the Hungarian's second career bracelet. Shaun Deeb raised to 100,000 from the button and Norbert Szecsi just called. The flop came , Szecsi check-called the 100,000 continuation-bet of Deeb. The turn was the , Szecsi checked again. Deeb bet 275,000, Szecsi raised the pot, Deeb looked at his cards again, checked how much Szecsi had behind, saw he was covered, and then decided to pot too, Szecsi snap-called. Szecsi had flopped a set of aces and Deeb was drawing dead. The river completed the board with the as a formality for Szecsi to win the hand. 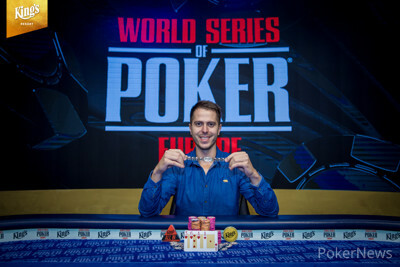 The dealers counted out their stacks while Szecsi and Deeb themselves already confirmed the result that Deeb had the shorter stack for Deeb to now be sent to the payout desk as the runner-up for €53,371 and miss out on his fifth WSOP bracelet. Szesci, on the other hand, managed to win his second bracelet. The recap of today's action is to follow. 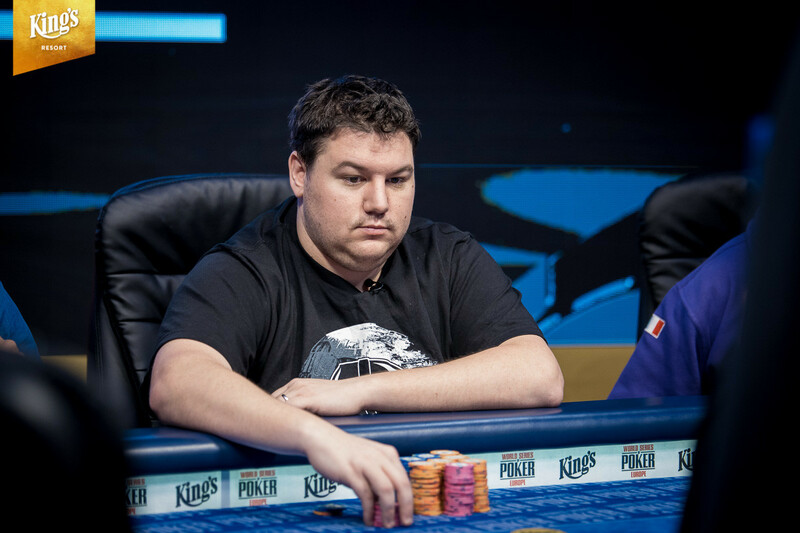 Norbert Szecsi raised from the button with and Shaun Deeb three-bet to 450,000 with . The flop came on which they both checked through to the on the turn to give them both trip aces. They both checked again to see the complete the board on the river. Deeb checked with the lower kicker, Szecsi bet 550,000 and Deeb snap-called to see the pot awarded to Szecsi. 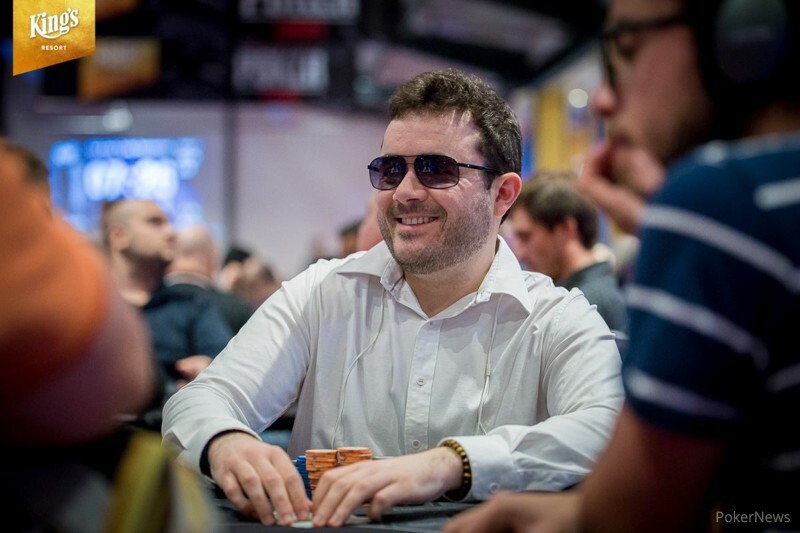 Norbert Szecsi raised to 125,000 from the button with and Shaun Deeb called with . The flop came , Deeb check-called the 100,000 continuation-bet of Szecsi. The turn was the , Deeb checked again. Szecsi did the same. The river completed the board with the to keep Szecsi ahead with the flopped pair of eights, both players checked again for the pot to be awarded to Szecsi. 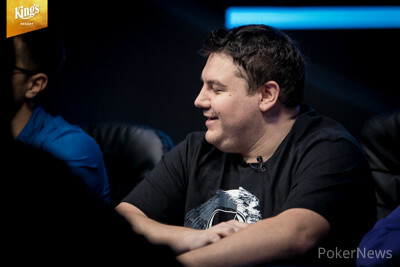 Norbert Szecsi raised to 115,000 from the button and Shaun Deeb called in the small blind with . Netanel Amedi shoved in the big blind. They both checked through the on the flop to the on the turn. Deeb check-folded to Szecsi's bet. Amedi needed a queen, eight or seven to stay alive but the on the river wasn't that and he was sent to the rail in 3rd place for €36,705. 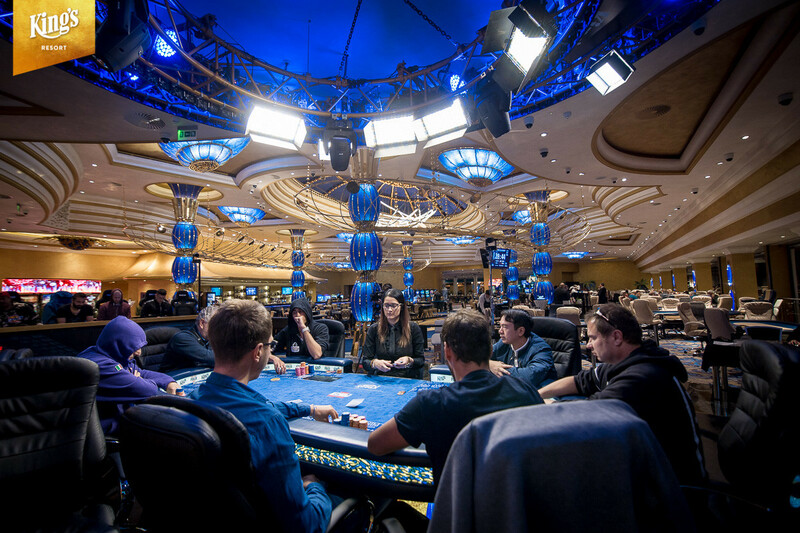 Szecsi and Deeb were sent for a short break while the table was being prepared for heads-up play. Netanel Amedi raised to 115,000 from the button and Norbert Szecsi three-bet shoved for 1,855,000 in the small blind. Shaun Deeb quickly folded. Amedi contemplated for a few seconds and then made the call. He got up from his chair and told his rail what he got before it showed up on the screen. The board ran out for Szecsi to hit a royal flush on the river to double up and leave Amedi behind with 150,000.
Who Will be Crowned the Mixed No-Limit Hold'em/Pot-Limit Omaha Champion Tonight?